OH MY! THIS HOME IS A FIND! 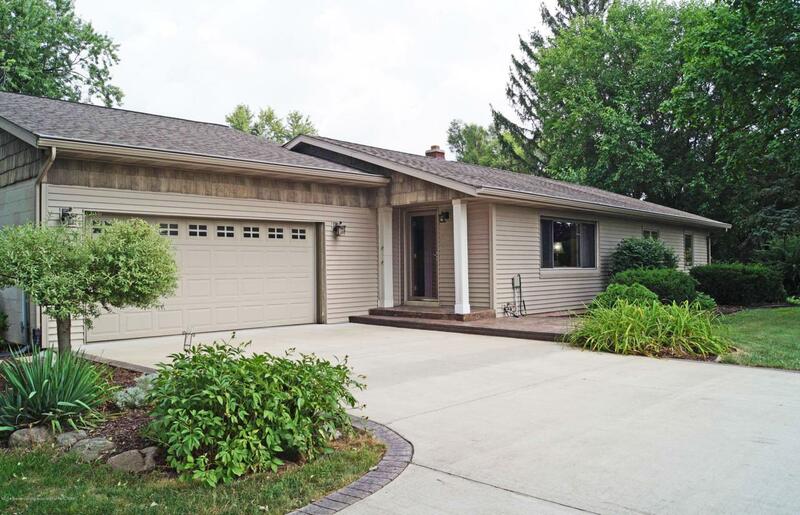 FABULOUS UPDATED RANCH HOME IN THE GRAND LEDGE SCHOOL DISTRICT! 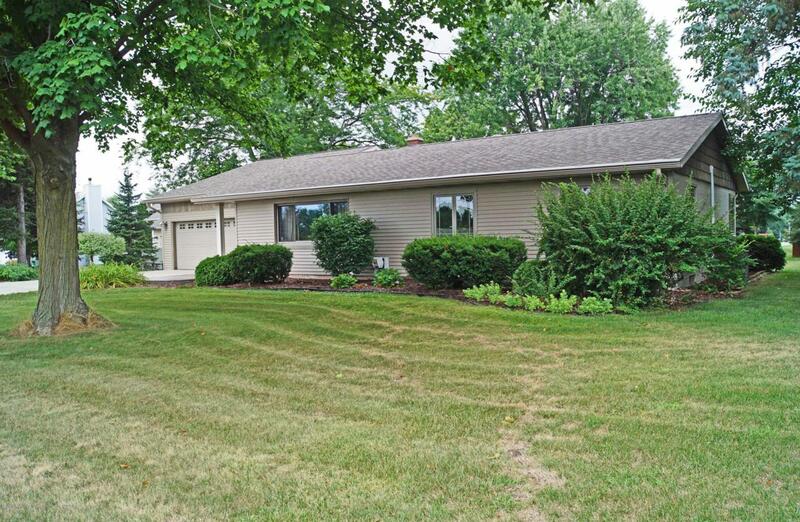 NESTLED ON ALMOST A ONE ACRE PARCEL! IMMACULATE WITH UPGRADES THROUGHOUT. SIX PANEL INTERIOR DOORS. GLEAMING HARDWOOD FLOORS THROUGHOUT MOST OF THE MAIN FLOOR. 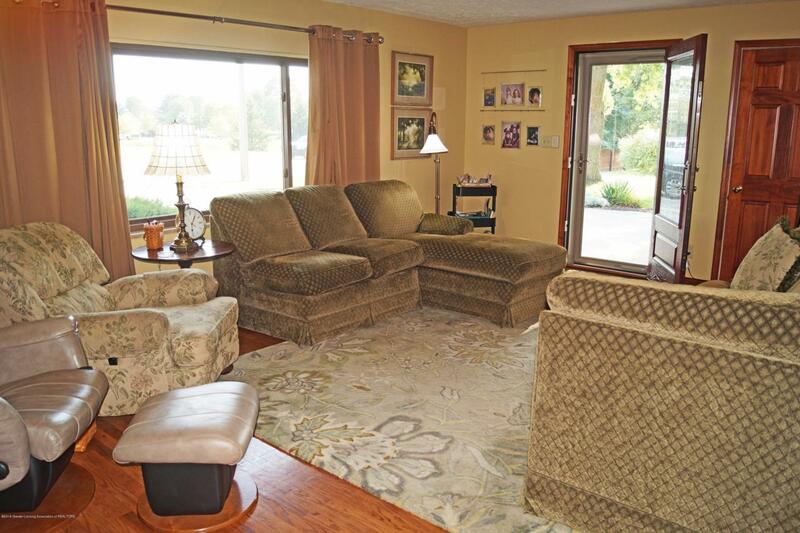 SPACIOUS GATHERING ROOM AND EATING AREA WITH LOVELY VIEWS OUTSIDE! ALMOST ALL WINDOWS ARE NEWER ANDERSON WINDOWS. OVER THE TOP CUSTOM KITCHEN INCLUDING HIGH END DECORA CABINETS WITH ALL OF THE BELLS AND WHISTLES.2 PANTRIES! CREAM OF BORDEAUX GRANITE COUNTER TOPS, DECORATOR BACK SPLASH WITH A LOVELY DESIGN. 4 DOOR REFRIGERATOR AND BEAUTIFULLY TILED FLOORS. AMAZING COVERED DECK! NEWER HALF BATH OFF THE KITCHEN AREA! THREE BEDROOMS ON THE MAIN FLOOR. THE MASTER HAS ACCESS TO THE MAIN FLOOR LAUNDRY AND MAIN BATH!PARTIALLY FINISHED LOWER LEVEL WITH A GAME ROOM! ATTACHED 2 CAR GARAGE AND A 24X32 BARN WITH CONCRETE FLOOR, WORK BENCH AND 100 AMP ELECTRICITY, BUILT IN 2004! 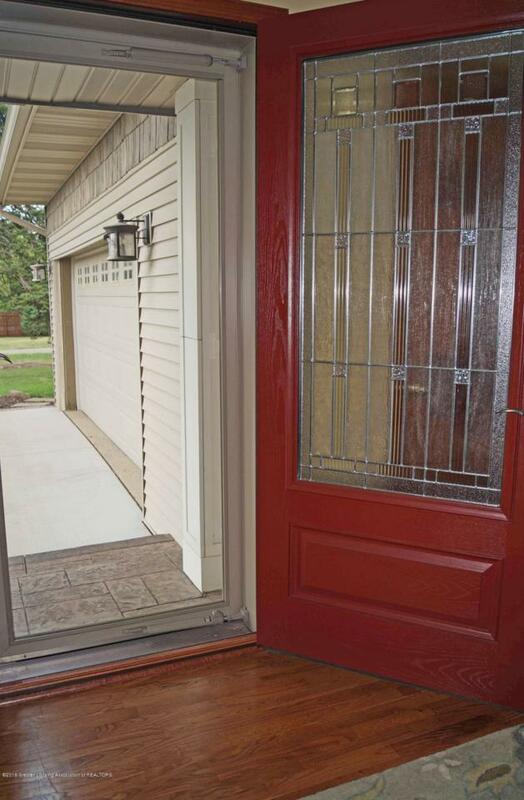 BEAUTIFUL NEWER CONCRETE DRIVE (2012) IS ENHANCED WITH A BRICK LOOK BORDER AND A TURN AROUND! ENJOY THE GRAPES! SHOW AND SELL! SELLER RESERVES: FLAT SCREEN TV'S/BRACKETS, 2 BEDROOM VALANCES AND WASHER & DRYER.